During the week of 03 – 09 November 2016, Israeli forces killed a Palestinian civilian at the entrance to the “Ofra” settlement, northeast of Ramallah and al-Bireh. Additionally, 6 Palestinian civilians, including a child and a photojournalist, were wounded in the occupied West Bank. Israeli forces have continued to commit crimes, inflicting civilian casualties. They have also continued to use excessive force against Palestinian civilians participating in peaceful protests in the West Bank and Gaza Strip, the majority of whom were youngsters. During the reporting period, Israeli forces killed a Palestinian civilian and wounded 6 others, including a child and a photojournalist, in the West Bank. In the West Bank, in excessive use of lethal force, on 03 November 2016, Israeli forces guarding “Ofra” settlement, northeast of Ramallah, killed Ma’an Abu Qare’ (23) and kept his corpse in custody. The spokesperson of the Israeli forces claimed the aforementioned person attempted to stab Israeli soldiers at “Ofra” intersection, as a result, they opened fire at him. No local eyewitness was present in the scene to confirm or negate the Israeli claims. In the context of excessive force used in peaceful protests against the annexation wall and settlement activities, 5 Palestinian civilians, including a child and a photojournalist, were wounded. Four of them, including the photojournalist, were wounded in Kufor Qaddoum weekly protest, northeast of Qalqilya, while the child was wounded in Ni’lin weekly protests, west of Ramallah. On 09 November 2016, one of the Israeli soldiers patrolling Howarah main street, south of Nablus, opened fire at Mohammed Amer (32), from Tulkarm. As a result, he sustained 2 serious bullet wounds to the back and right hand. 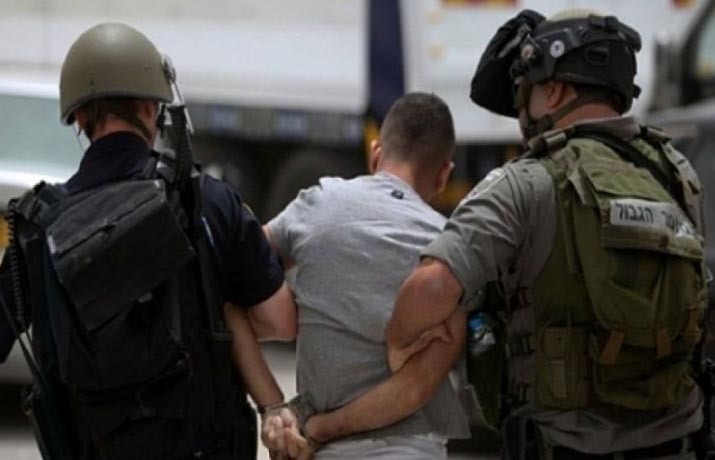 Israeli forces claimed that Amer attempted to stab an Israeli soldier. In the Gaza Strip, in the context of targeting Palestinian fishermen offshore, on 03 November 2016, Israeli gunboats stationed off al-Wahah shore, northwest of Beit Lahia in the northern Gaza Strip, heavily opened fire at Palestinian fishing boats sailing within 3 nautical miles. A similar attack took place on 06 November 2016, however, no casualties were reported. On 07 November 2016, Israeli gunboats stationed off al-Sudaniya shore, west of Jabalia, north of the Gaza Strip, opened fire at Palestinian fishing boats. They chased a bout while spraying it with wastewater in an attempt to get it drowned. As a result, Mahmoud Abu Riyala (18) fainted because of the wastewater and the boat sustained damage. A similar shooting attack took place at approximately 06:30 on Wednesday, 09 November 2016, but neither casualties nor material damage were reported. During the reporting period, Israeli forces conducted at least 72 military incursions into Palestinian communities in the West Bank and 11 others in occupied Jerusalem and its suburbs. During these incursions, Israeli forces arrested at least 83 Palestinian civilians, including 23 children and 4 women. Twenty-eight of them, including 13 children and 2 women, were arrested in occupied Jerusalem. Among the arrested was a whole family consisting of 8 members from al-Amari refugee camp, south of Ramallah. On 06 and 07 November 2016, Israeli forces raided Dozan and al-Manar publishing houses in Hebron respectively. They also confiscated some of the contents and withdrew later. In the Gaza Strip, on 09 November 2016, Israeli forces moved about 100 meters into the east of al-Qarara village, east of Khan Yunis, south of the Gaza Strip. They levelled lands along the border fence and withdrew later. In the context of house demolitions, on 08 November 2016, the Israeli municipality demolished a house belonging to Eid family in Wad al-Jouz neighbourhood in occupied Jerusalem, under the pretext of non-licensing. On the same day, the Israeli municipality demolished a house belonging to Ghanem Mostafa in al-Eisawiya village, northeast of occupied Jerusalem, under the pretext of non-licensing. It should be noted that the house was built 3 years ago. Also on the same day, the Israeli municipality demolished parts of a house belonging to Mahmoud al-Hadra while al-Hadra self-demolished a garage he built in front of his house in al-Tour neighbourhood, east of Jerusalem’s Old City, under the pretext of non-licensing as well. On 09 November 2016, the Israeli municipality demolished a carwash belonging to Maraqa family in Beit Hanina village, north of occupied Jerusalem. The family said the carwash belongs to 2 brothers and was built 4.5 years ago. The financial loss is estimated at NIS 200,000. In the same context, on 04 November 2016, Israeli municipality crews and forces moved into Selwan village, south of East Jerusalem. They photographed a number of residential and commercial facilities. They took photos also of streets in Wad Helwa neighbourhood in the village. Wad Helwa committee stated that Israeli forces distributed summonses to owners of certain facilities under the pretext of non-licensing. In a serious development violating the right to practice religious rituals, Israeli forces informed the Mua’zzins of 3 mosques in Abu Dees village, east of occupied Jerusalem, to stop the Fajr Prayer’s call (Adhan) via loudspeakers. Moreover, they denied residents of western areas of the village access to Saladin mosque to perform the Fajr Prayer on 04 November 2016. On 03 November 2016, Israeli forces demolished 3 commercial and industrial stores at the entrance to Beita village under the pretext of building with no license in area (C) according to Oslo Accords. The illegal closure of the Gaza Strip, which has been steadily tightened since June 2007 has had a disastrous impact on the humanitarian and economic situation in the Gaza Strip. The Israeli authorities impose measures to undermine the freedom of trade, including the basic needs for the Gaza Strip population and the agricultural and industrial products to be exported. For 9 consecutive years, Israel has tightened the land and naval closure to isolate the Gaza Strip from the West Bank, including occupied Jerusalem, and other countries around the world. This resulted in grave violations of the economic, social and cultural rights and a deterioration of living conditions for 1.8 million people. The Israeli authorities have established Karm Abu Salem (Kerem Shaloum) as the sole crossing for imports and exports in order to exercise its control over the Gaza Strip’s economy. They also aim at imposing a complete ban on the Gaza Strip’s exports. The Israeli closure raised the rate of poverty to 38.8%, 21.1% of which suffer from extreme poverty. Moreover, the rate of unemployment increased up to 44%, which reflects the unprecedented economic deterioration in the Gaza Strip. At approximately 13:15, following the Friday prayer, Palestinian civilians and Israeli and international human rights defenders organized a protest in the centre of Kufor Qaddoum village, northeast of Qalqiliya, and then made their way to the eastern entrance of the village in protest against closing that entrance since the beginning of al-Aqsa Intifada with an iron gate. When the protesters approached the entrance, Israeli forces fired live bullets, rubber-coated metal bullets, tear gas canisters and sound bombs at them. As a result, 3 protesters, including a photojournalist, were wounded. Moreover, Israeli forces arrested an elderly man, Nihad Mohamed Hussain (70), but released him at approximately 17:30 on the same day after the intervention of the Palestinian liaison. The photojournalist, Nidal Ishtaih (45), from Salem village, east of Nablus, was hit with a rubber-coated metal bullet to the side, the second civilian (45) was hit with a rubber-coated metal bullet to the back and the third one (27) was hit with a rubber-coated metal bullet to the thigh. It should be noted that Nidal works as a cameraman at the Chinese News Agency. Following the Friday prayer dozens of Palestinian civilians and Israeli and international human rights defenders organized protests in Bil’in and Ni’lin villages, west of Ramallah; and al-Nabi Saleh village, northwest of the city. Israeli forces forcibly dispersed the protests, firing live and rubber-coated metal bullets, tear gas canisters and sound bombs. They also chased the protesters into olive fields and houses. As a result, a 16-year-old male, from Ni’lin village, was hit with a rubber- coated metal bullet to the head and was then taken to Palestine Medical Complex in Ramallah. Moreover, some of the protesters suffered tear gas inhalation while others sustained bruises as Israeli soldiers beat them up. Kenanu Shop for selling plastic and cartons belonging to Esam Mahmud Qasem Najar, from Burin village. Al-Badawi Restaurant belonging to Mohammed Abdul Rahman Badawi Oudah, from Hawarah village. A property belonging to Abdula Ghafer Nour Eden Salamah from Beta village. The municipality demolished the property over the equipment inside. At approximately, 16:30, Israeli forces moved into al-Zawiyah village, west of Salfit. They raided and searched a house belonging to Khaled Abdul Ghafer Raddad. They handed him a notice to halt the work in his house under the pretext of building without a license from the Organization and Construction Department of the Israeli Civil Administration because it was in Area (c) according to Oslo Accords. At approximately 08:30 on Sunday, 06 September 2016, Ref’at Salamah Husain Mardawi (65), his wife Fatmah (60), son Mohammed (34) and cousin Jamal Mardawi (45) went to their lands in al-San’ah area in the vicinity of “Eli” settlement, west of Qaryout village, southeast of Nablus, according to the announced coordination giving access to these lands for 3 days starting from the abovementioned day. Marawdi and his family arrived to the main street at the entrance to the abovementioned settlement where there were about 25 farmers from his village. They all were waiting at the settlement entrance until the Israeli soldiers, police and the settlement guards allow them to go to their lands for the olive harvest. When the farmers gathered, the settlement guard ordered the men to give thier ID cards to be checked. Twenty-five minutes later, a soldier called Ref’at and his son Mohammed and informed them they were banned the entry to the settlement for security reasons. It should be noted that the abovementioned civilian owns 27 olive trees in his land and this was the first time he was not allowed to enter his land. At approximately 09:00 on Monday, 07 November 2016, Israeli forces accompanied with an Israeli Civil Administration vehicle and a crane moved into al-Maghaier area, west of al-Samou’ village, south of Hebron. The soldiers deployed in the area and confiscated a caravan with an area of around 20 square meters and a water tank belonging to Mohammed Kahlil Abu Qabitah, who was building a poultry farm. On Saturday, 05 November 2016, a number of Israeli settlers moved into a 12-dunum land planted with olives in Wad al-Beer al-Nattash area in al-Janiyah village, 2 kilometres away from “Neriah” settlement, west of Ramallah, and attacked a number of Palestinian farmers. According to investigations conducted by PCHR’s fieldworker, at approximately 08:30, 5 Palestinian civilians from al-Janiyah village arrived at the abovementioned land they own to harvest the olives. The 5 persons were identified as Saber Barakat Ali Abu Fakhidah (35), Saiel Barakat Ali Abu Fakhidah (60) and his son Sa’ad (34), Hasan Barakat Ali Abu Fakhidah (41) and Mohammed Ahmed Ali Abu Fakhidah (25). At approximately 12:35, they were surprised by around 15 to 20 settlers aging between 20 and 30 years old wearing civilian clothes and masks around them. They were holding sticks and iron pipes. A settler said in Hebrew to the farmers:”We will kill you.” They then attacked the farmers and beat them until Saber and Hasan Abu Fakhidah fainted. The settlers fled away. The injured were transferred to Palestine Medical Complex to receive medical treatment. Examinations showed that Saber sustained deep wounds in the head due to which he needed 20 stiches. As for Hasan, he suffered a fracture in four of the lower front teeth, wounds in the mouth, and bruises in the right leg in addition to a wound to the right hand that needed 5 stiches. Fully detailed document available at the official PCHR website.